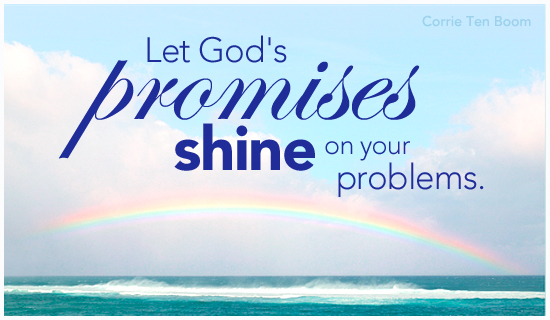 God keeps His promises. He promised! In fact, 2 Corinthians 1:20 says that all of the promises of God find their “Yes” in Jesus. But wait! It gets better! Romans 11:29 says that the gifts (promises at the very least!) and callings of God are irrevocable! So why is this important? Because back in 1978, right after I gave my life to Jesus, I heard this missionary come speak at our church, and he said that if we felt God was calling us to a life of Christian service, that we should raise our hand and come forward. I did. I had no idea what that would entail, but I did hear an idea in my head that it would be a rather circuitous path for me. I knew that I would one day be a full time pastor, but also knew that all along the way I was to serve Him wherever and however I could. So I have. I have been Sunday school teacher (in fact when I was a junior in high school I was asked to teach the high school Sunday school class at my small, Minnesota church – and it actually grew! I had been a Christian for only a year), a youth pastor, worship pastor, band member, and regional pastor – regardless of where I lived. God has seen fit to use me. He does have a sense of humor! And God has brought some awesome people into my life over the years to mentor me (although they might not say they were mentoring me – I was watching them VERY closely on how to do this thing called life!). The first guy was an engineer from Honeywell named Fred Shemanek, who went to the same church I did – Calvary Memorial. He approached me and asked me if he could disciple me. I had never heard this term before, but said yes anyway, because it meant he would be a friend. We met at his house Saturday mornings. He had me memorize verses – I still know them to this day – Psalm 1, Galatians 2:20, etc. Then there was the Anderson family. Duane became my best friend through high school. He had a profound impact in my life, but he probably never knew it. They had no idea what they were doing for me, but watching a family interact without yelling at each other while actually being NICE to each other was transforming. They were showing me how to live as normal Christians. This gave me an operational definition of family. Then there was the Owens family. I showed up one day after I had broken up with a high school girlfriend, and was a mess. A guy at church told me to go see Art Owens, so I did (this is called “pass the turkey”!). I am sure he was pretty surprised to see me driving up his drive. I still remember our first meeting to this day – he was talking with family members out in the driveway, and when a pause came, came over to where I was and asked me what was wrong. He told me some things (I don’t remember what they were) but then he set aside some time for me to meet with him later in the week. Nothing big. I just had dinner with the family. But his love for Jesus and for the Word of God was clear, and infectious. I became a “back door” friend for years after that. Little did I know how great a man the Lord had dropped into my life. (https://vimeo.com/96339888 ) But his influence, and that of his family would be life changing – lifegiving. We would spend time at their kitchen table playing board games, eating meals, talking, doing life. But always, Art talked about Jesus in what he said and did. How he ran his business – he would say he gave it to God, and that God runs the business. His daughter, Sandi and I would become excellent friends over the years – also a life changing blessing from a loving God. 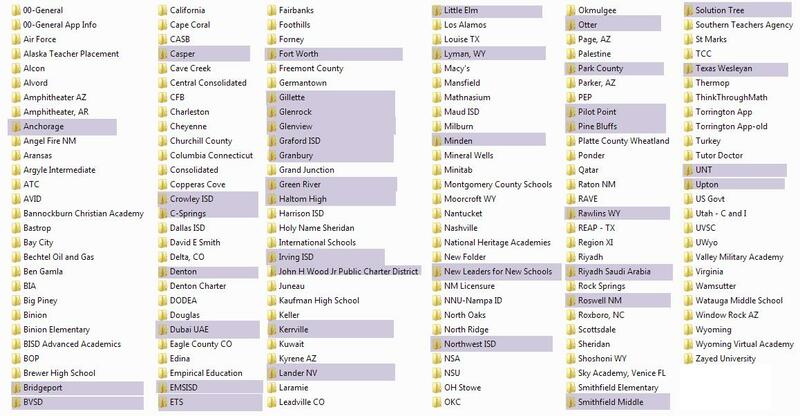 The highlighted places are places I got interviews for. Some even offered me a job, but it would never seem to fit. We finally reserved ourselves to staying in Texas – and at the school district where I was at, and at the church we were at – because we were in a church that was bringing healing to the wounds one picks up in life – a far cry from the others we had been members of during our marriage. Why do I tell you this seemingly boring story? Because of God’s promise He made to me back in 1978 at that little church called Calvary Memorial. All of this “stuff” was happening as training. God’s training program is always the best, beat seminary by a long shot, and makes you a way better minister of His love and grace. But is usually takes longer than 2-4 years. In my case, because I am a bit thick, it took me roughly 30 years. But this was stuff I could never get in Bible College, or seminary. Not from my master’s or PhD coursework, but from doing life with God, and being sensitive to the people He brought into my life. That calling He placed on my life in 1978 finally came to fruition in January of this year. I am now a full time associate pastor of staff development for an amazing church in the Dallas Fort Worth area. Everyday I rub shoulders with some of the best and brightest people I’ve ever known – people who serve God with abandon. He DOES keep His promises, on HIS timetable – and they really are irrevocable, even if we forget about them. Thank you God for bringing the people into my life that you have: Fred Shemanek and his family, Art Owens and his family, the Anderson family, and how could I ever forget the Hankel family – whose mom, Mary Hankel, was my guitar playing and singing and songwriting friend whose whole family loved me deeply through dark times. Isn’t it amazing how our loving God brought musical and guitar playing people into a guitar player’s life! ?